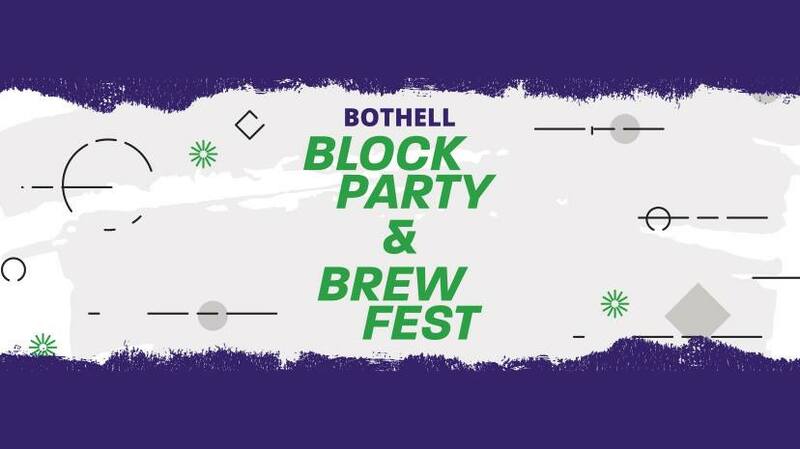 Party with Seattle's hottest bands, savor and sample delicious beers, wines and ciders, and satisfy your hunger with tasty food trucks at the 5th annual Bothell Block Party & BrewFest! This great event hosts between 2000 - 3000+ beer and music lovers from all around and is brought to you by the UW Bothell and Bothell Kenmore Chamber. Hotel & Ride Shuttle Partnership! Need a place to stay & a ride to and from the Block Party? Of course you do! The Hilton Garden Inn Bothell is the official hotel partner and Husky Headquarters for UW Bothell’s Alumni Weekend 2019. - A special rate of only 129.00 USD/night! - Extended Shuttle Service to and from the Block Party provided by the Hilton Garden Inn Bothell! Did we mention they have a heated salt water swimming pool?! Book Your Stay Here for the Hilton Garden Inn, Bothell! Food is extra. Tickets are non-refundable and only available while supplies last. Commemorative glasses are only available while supplies last. Must be 21 years of age and older to attend - I.D. verifying age will be required. (Sorry babies not permitted.) Service dogs only. Follow the Official Facebook Page & Invite Your Friends! This event is made possible with support from the City of Bothell and exploreBothell.